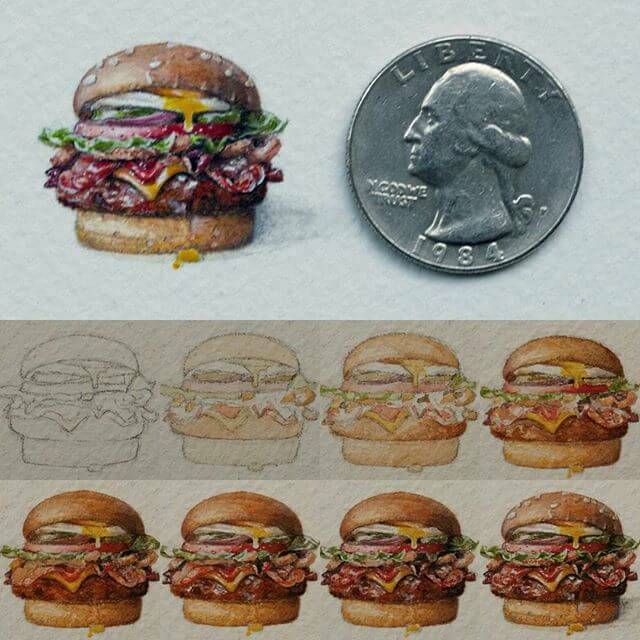 This twenty one year old is doing something a little out of the norm.. most artists try to push the limits by creating bigger work. 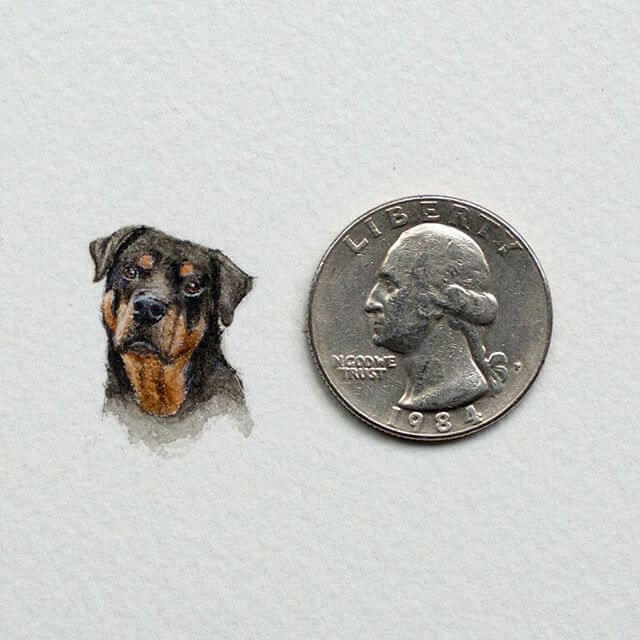 Instead, her paintings are small enough to be hidden by a quarter. 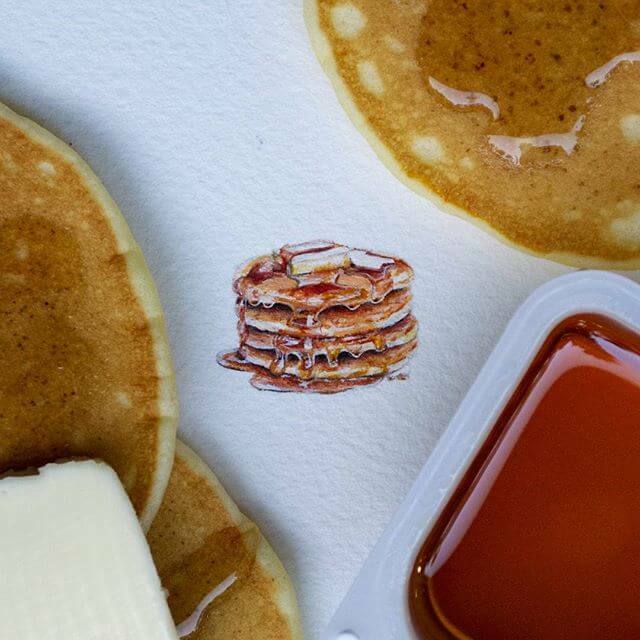 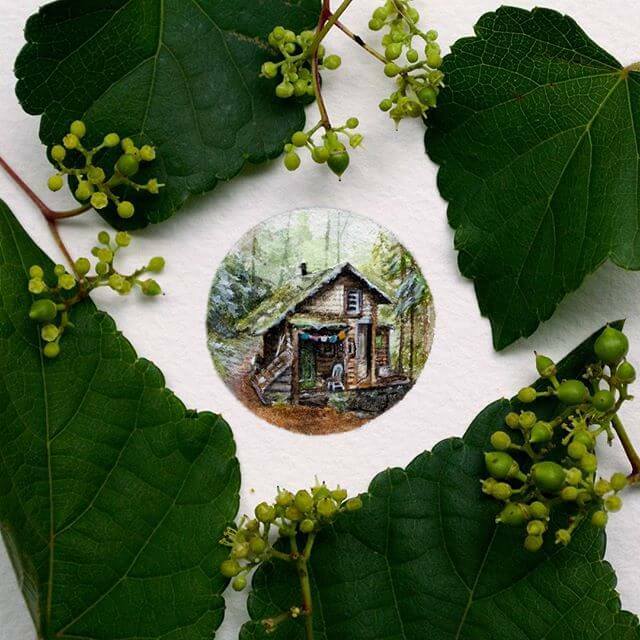 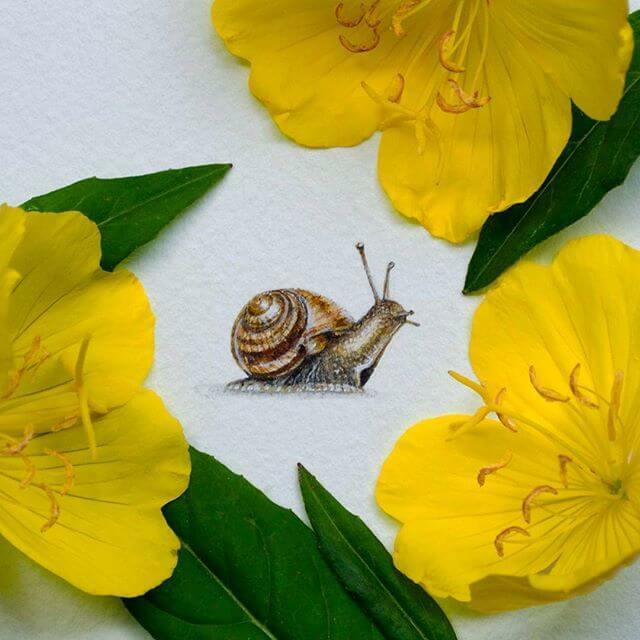 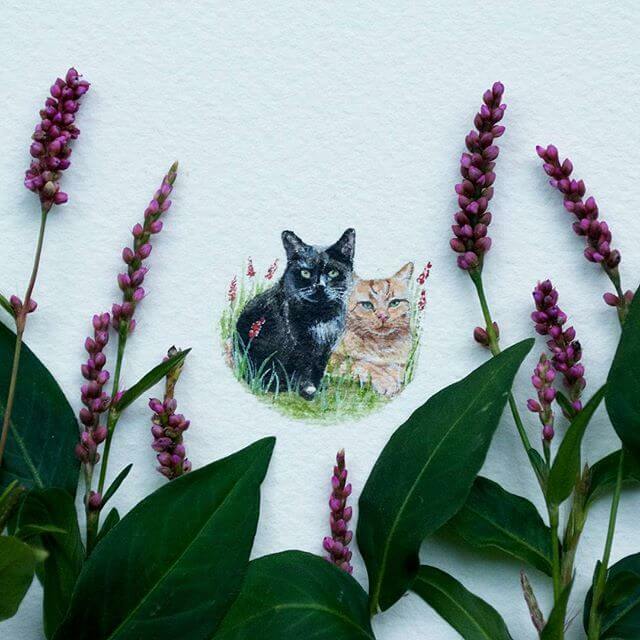 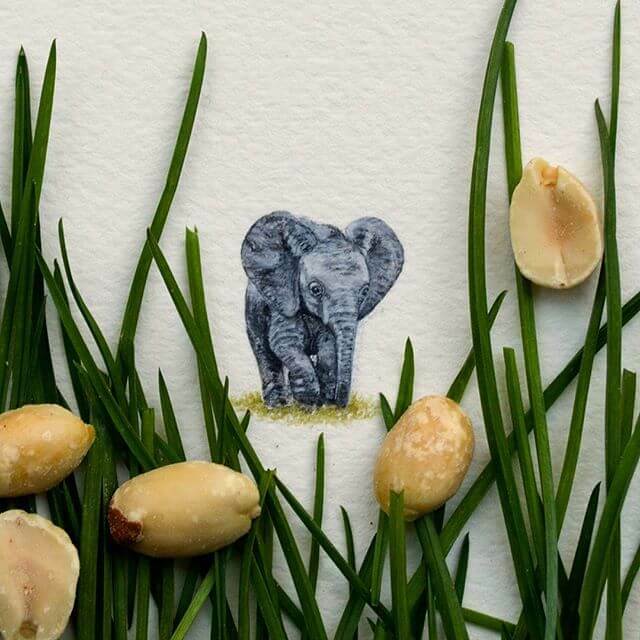 Rachel Beltz uses her miniature watercolor paintings to push her audience out of the daily norm; making them remember the “smaller,” beautiful details of life. 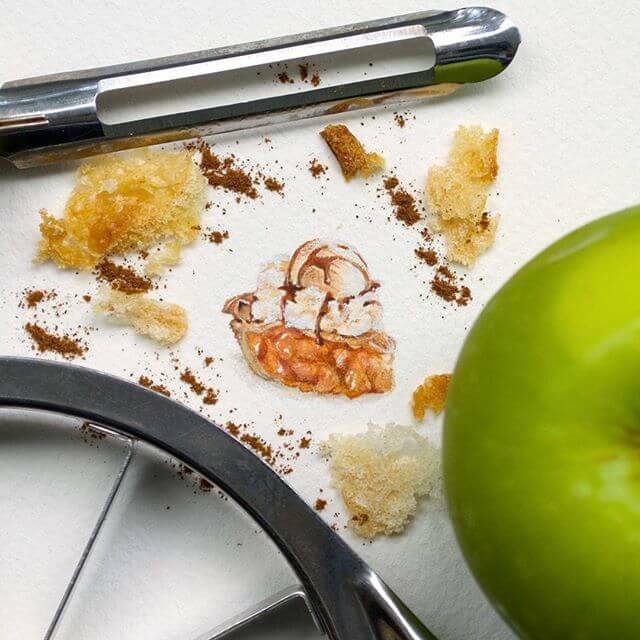 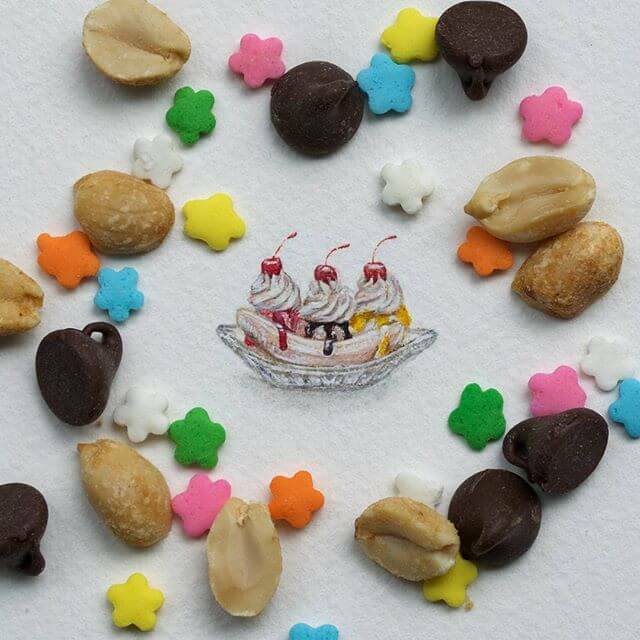 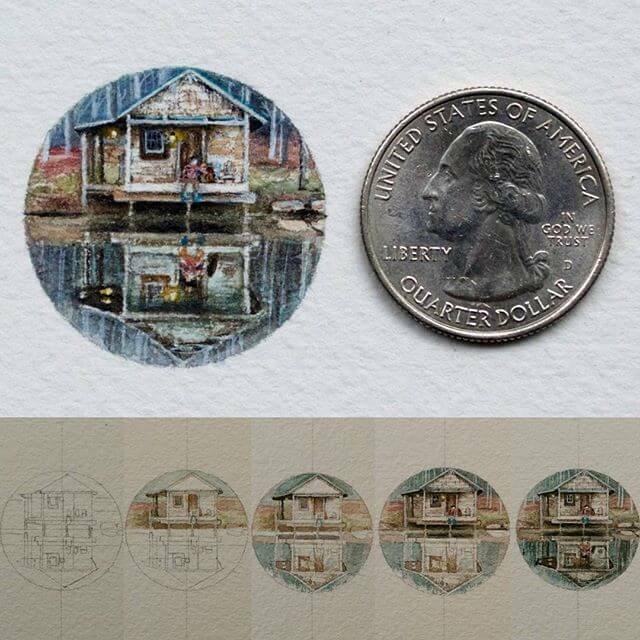 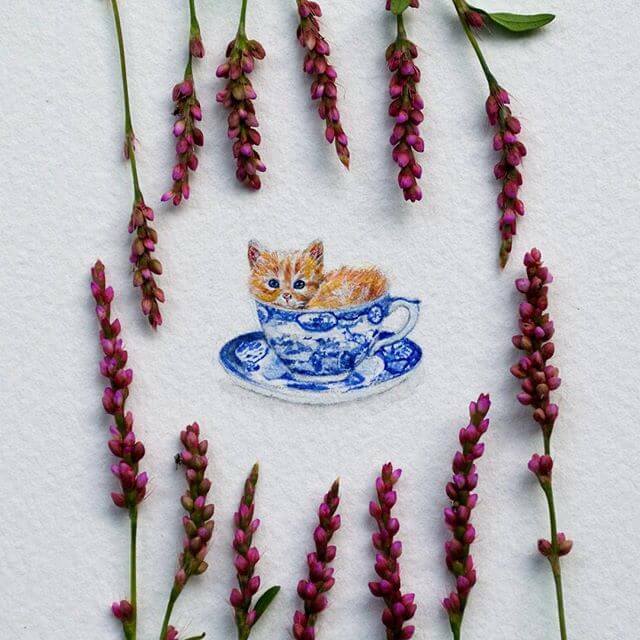 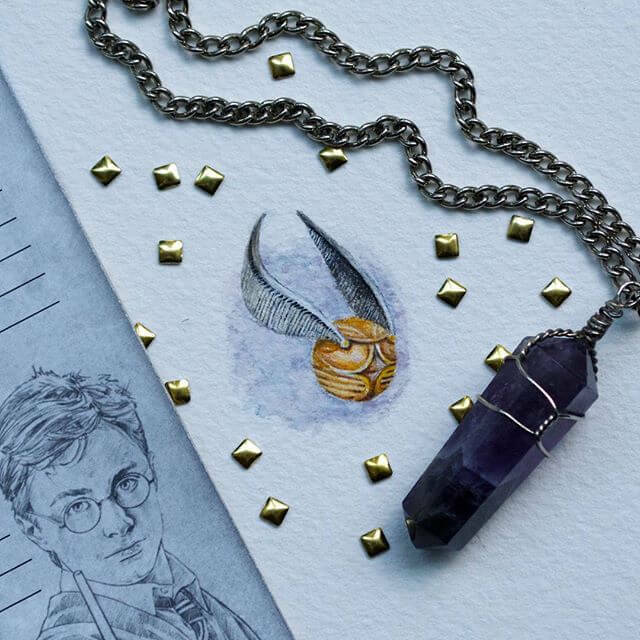 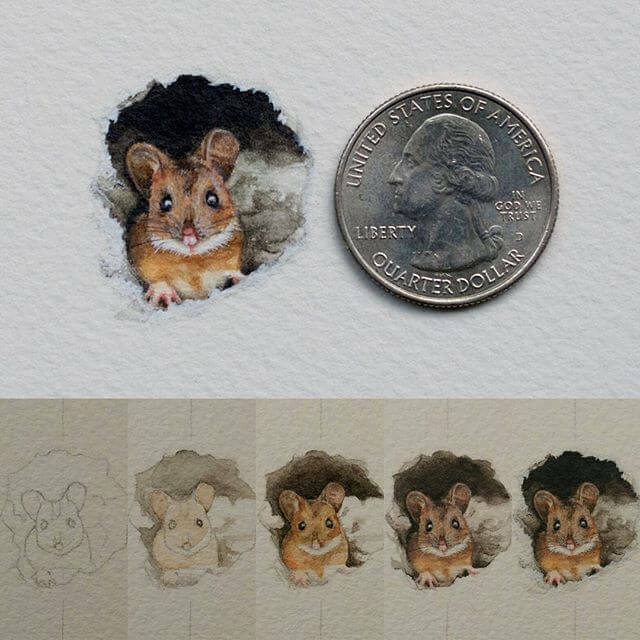 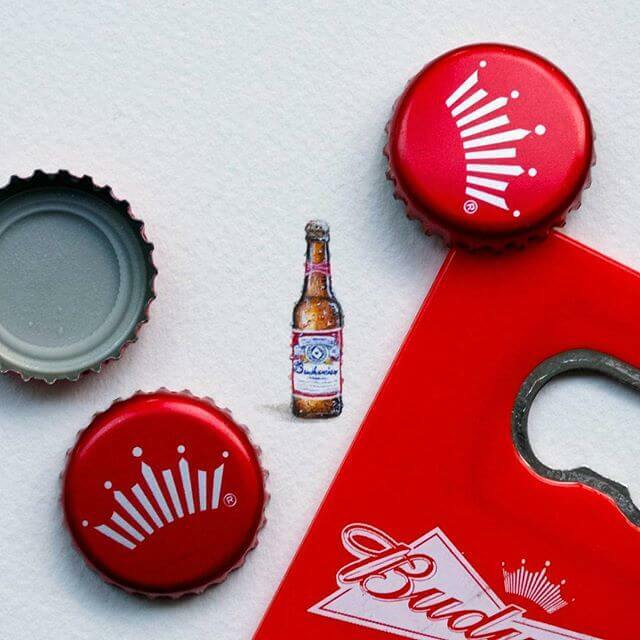 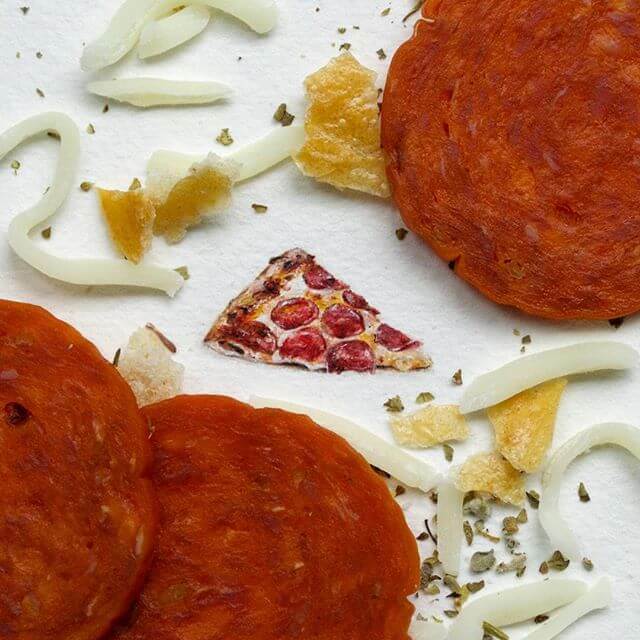 Using this medium, she aims to create realistic miniatures all measuring in at about the size of a quarter. 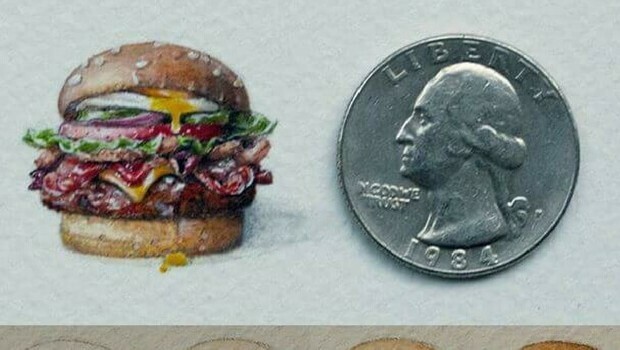 Imagine a house at this size- a hamburger?- maybe a huge desert with a cactus or even a cat; she has painted them all, plus about a hundred more and counting. 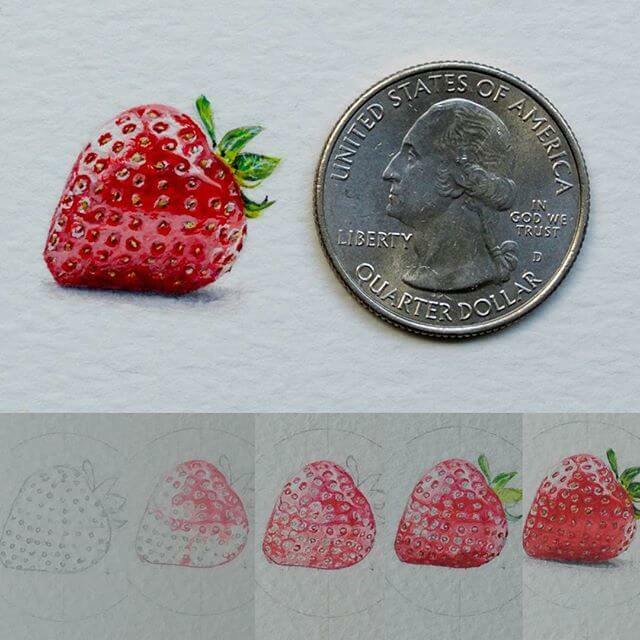 Rachel constantly pushes the boundaries of this fluid medium; squeezing in all of the details she can, like the seed of a strawberry or the wrinkle of an elephant. 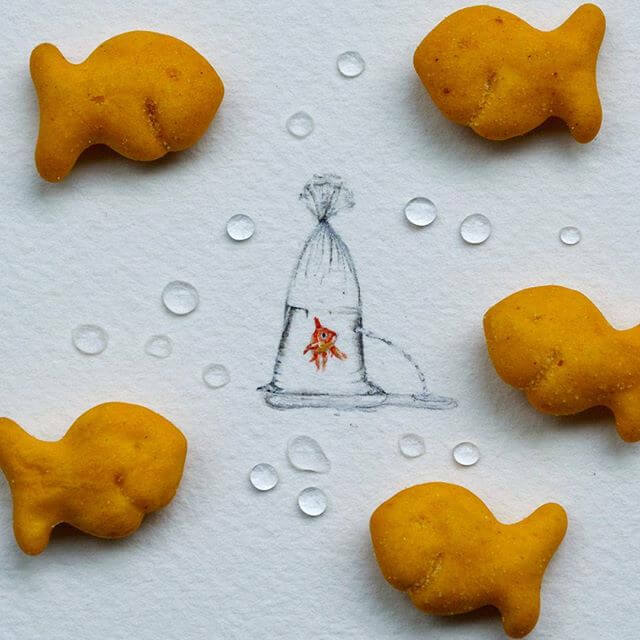 The fast-paced society that she grew up in has caused her to want to make a difference. 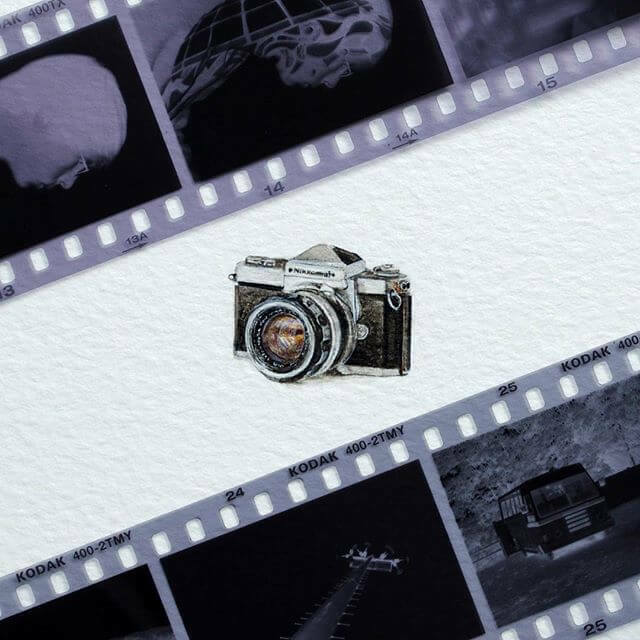 Next Story → 22 Pictures Of Celebrities When They Were Young. 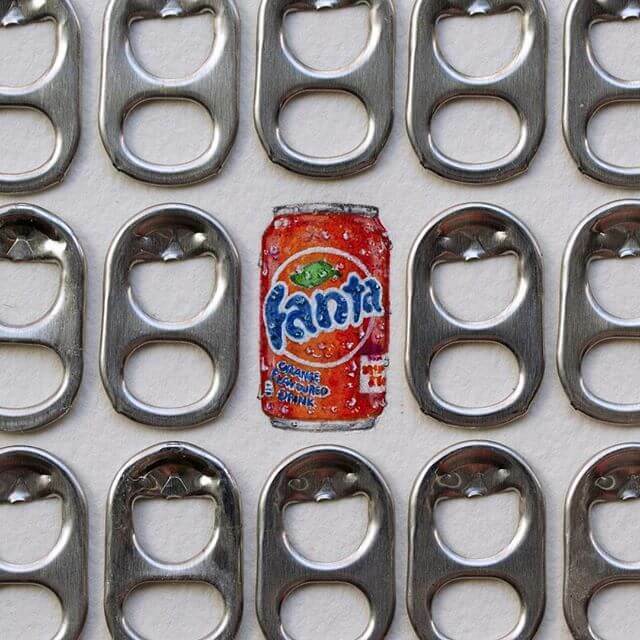 Can You Recognize All Of Them?